CV readers aren’t shocked at this resurrection of establishing the NAU. CNN just moves it forward on the shelf positioning it for a closer reach, now imminent, for CNN’s corporatist slavemasters. And… Heidi of Goldman Sachs, and coincidentally the wife of Ted Cruz, might just be the foundress chosen to shackle our ankles into the advancing NWO! You can now begin to see why it's vital to our survival as sovereign nations (Mexico, US, Canada) to nullify un-Constitutional elements within the US states before this NAU wave sweeps in, adding another layer of distant government and buttressing the Treason in DC. Be brave - dare call it a Conspiracy. Dominant Social Theme: It is very important for everyone to get together everywhere all the time. Free-Market Analysis: Is the campaign for a North American Union officially underway with this editorial appearing in CNN? Certainly conspiracy theorists might be justified in thinking so. For years, more than a decade, some have suspected that powerful bureaucracies in North America – especially in Washington – might seek to combine Mexico, the US and Canada into a single super-state. This was always greeted with howls of contempt by those in the mainstream media, especially in the liberal congregation, who knew better. There was no need, no possibility, that Canada, Mexico and the US would ever form a single trading – and perhaps political – union in the manner of the EU. But here we go. Those derisive hoots are now drowned out by the reality of what this editorial proposes. 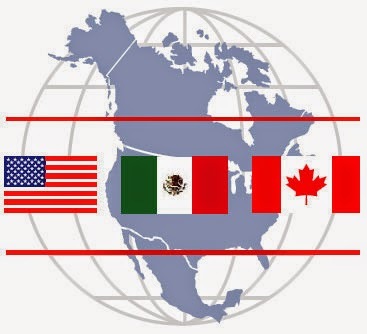 The United States, Canada and Mexico are bound by a shared economic, environmental, demographic and cultural destiny. How we move forward together is key to our success. In recognition of our shared destiny, the three countries should create a North American passport that would, over time, allow their citizens to travel, work, invest, learn and innovate anywhere in North America. Work, tourist and student visas are necessities in the modern world to regulate the flow of people between sovereign states. In the North American context, much like within the European Union, our economies and societies are far more integrated than our immigration system recognizes – and a North American passport, much like the EU passport, would align our laws with reality. Such a move would provide a dramatic break from Washington's historical negligence of its "near abroad," which stems from a rare luxury. In contrast to other major continental powers through the centuries, the United States has not had to worry much about its neighbors and devote the bulk of its military resources to protecting its borders. ... A North American passport would reflect the unique relationship and shared interests among our nations. In the face of growing competition from rising powers elsewhere in the world, simply taking our geography for granted and focusing our attention elsewhere is no longer a viable option. One can see many dominant social themes in this editorial – and these are evident from the beginning: "The United States, Canada and Mexico are bound by a shared economic, environmental, demographic and cultural destiny." Wait a minute. The United States, Canada and Mexico are lines on a map. These geographical regions are not bound by anything, let alone cultural destiny. Having stated this fallacious assumption, the editorial proclaims, "How we move forward is key to our success." Why should lines on a map move "forward"? And why is moving forward the key to success for arbitrary geographical regions? This is simply language jumbled together to sound like a logical argument. The editorial gets even worse, building on this nonsensical rhetoric to rewrite history in order to make a closing argument that the three governments in question ought to offer a single passport. In making this argument, the editorial cites NAFTA, which it claims has been "a boon to our growth and competitiveness ..."
It continues: "But the promise of NAFTA has fallen short in a critical respect; while trade and investment have grown, the barriers to movement have remained too high for the people who help drive and stand to benefit from that growth. Now we begin to understand the importance of NAFTA. Those who wanted a North American Union understood they would need a treaty, a series of treaties, to rationalize industrialization between Mexico and the US. Once this evening-out had been accomplished, the next argument could be made, which is that regulation must follow growth. This is a tremendously cynical way of utilizing treaties and government. One creates the conditions one wants and then moves to regulate the new reality. US workers have remained angry over NAFTA and CAFTA, but these treaties were intended to provide the necessary justification to proclaim a larger NAU. There are other manipulations that have taken place recently. 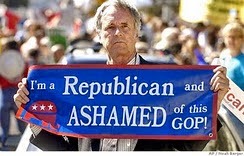 The Bush administration and now the Obama administration have attempted to undermine US border security and to allow in as many Mexicans as possible. US intel agencies have seemingly fueled an already violent drug war in Mexico, thus increasing pressure on Mexicans to seek employment in the US. Guns have been shipped to Mexico with US governmental complicity, apparently to heighten the violence. The "conspiracy" lies not with those (ourselves included) who have continually pointed out the surreptitious groundwork that has been laid to build the NAU. The conspiracy lies with those internationalists that continually push to expand and unite whole continents and more. All around the world, "unions" are being proclaimed, often with the potential for new currencies. Surely, those who have as their goal a kind of hyper-globalism are the real conspirators here.